Just in time for Christmas. This hand-up will enable Faith to go to work to support herself and her children. Tim Ulrich had an accident after getting up one morning and falling down the stairs, and in the fall fractured 4 vertebrae leaving him unable to move when his wife found him. When he came home, he was in a motorized wheel chair and was desperately in need of a handicapped bathroom down stairs. Family tried to start the remodel to help Tim out but needed some assistance to finish. That is where the Posse came in. 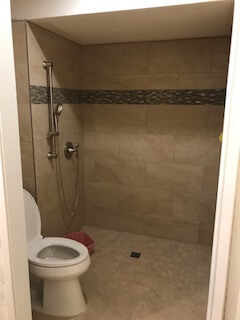 With the help of SC tile, Roberts Plumbing and Magnesite Specialties, I was able to complete this project under the appropriated amount and now Tim can shower and fit through the door ways in his bathroom. Joni Meier at her Mobile home located in Lakeside. She has lived there for 15 years. She had worked for Barona for 9 years as a visual designer and as a clerk at a grocery store. She had to retire/disability due to Glaucoma and lack of eye sight. She is considered legally blind with a little sight in her right eye. 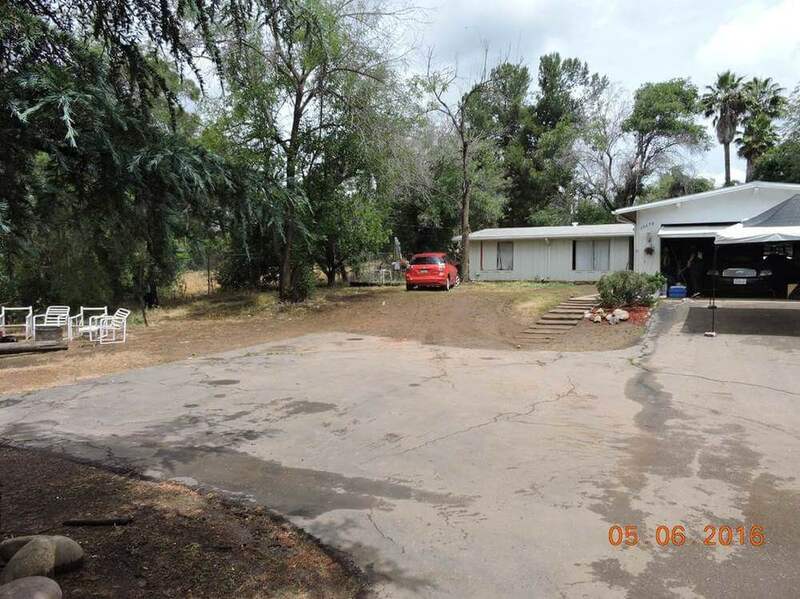 Joni is requested a front porch and side deck to be replaced. 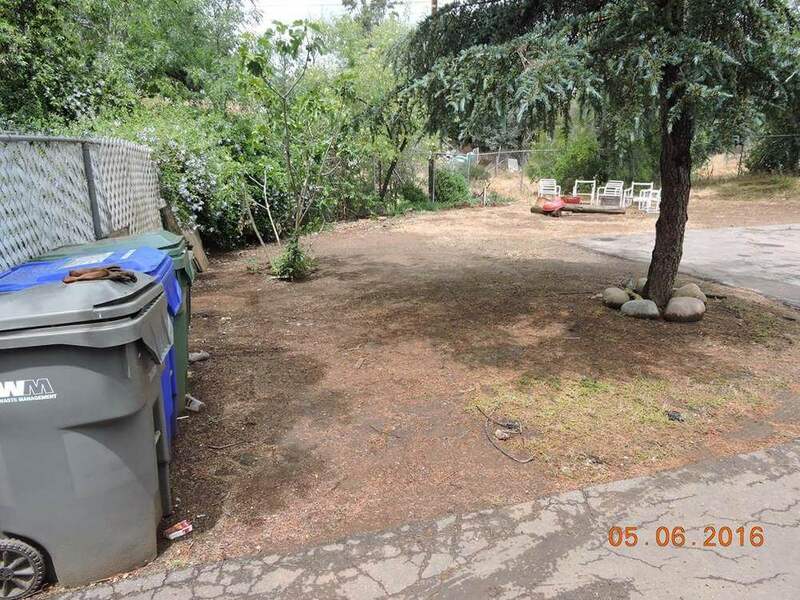 The deck was rotting out and front entry was very weak. ECP members voted to remove and replace entry deck and side deck. Dean Peterson led the way and was able to complete the project with some help of the members for less than half the projected cost. $3600 to help a mother who contracted a flesh eating bacteria when delivering her third child. This was a hard working family (mother is a nurse, father is a firefighter) who needed a hand-up due to the unexpected medical expenses and missed work. (Picture for this case is attached to put with the story). 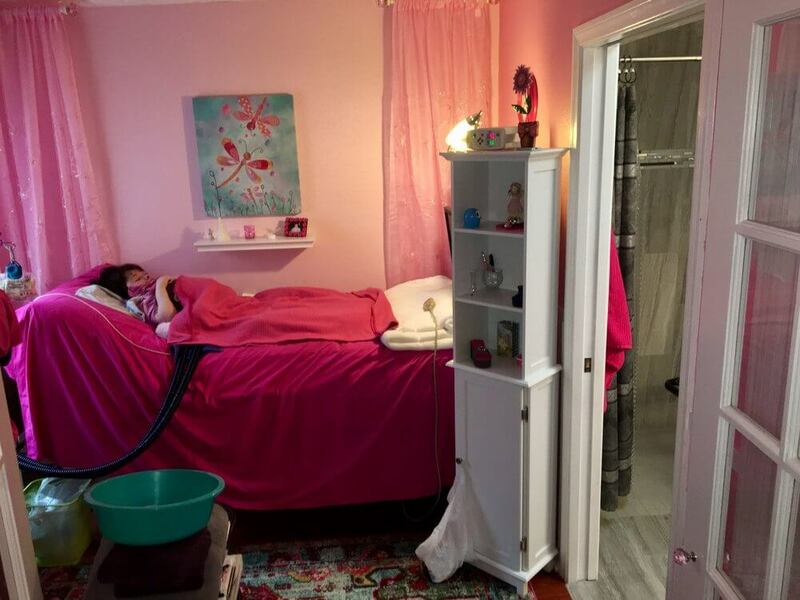 $750 given to a 15 year old girl with non-hodgkins lymphoma to re-furnish her bedroom. $1200 to buy a wheelchair, install a hand rail, and help cover some uninsured medical expenses a 12 year old boy with cancer. 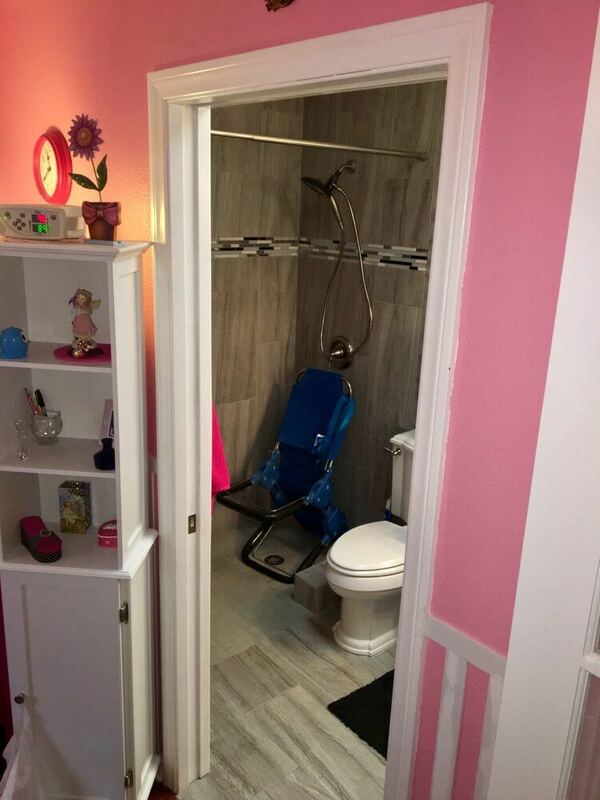 The East County Posse installed an accessible shower for a family whose adopted daughter is completely immobile due to a number of medical conditions. The daughter had been injured trying to bathe in the pre-existing Jacuzzi tub that was in the bathroom. Jeff Mattazaro, a member of the East County Posse, provided the labor and skills necessary to complete the project at no cost. 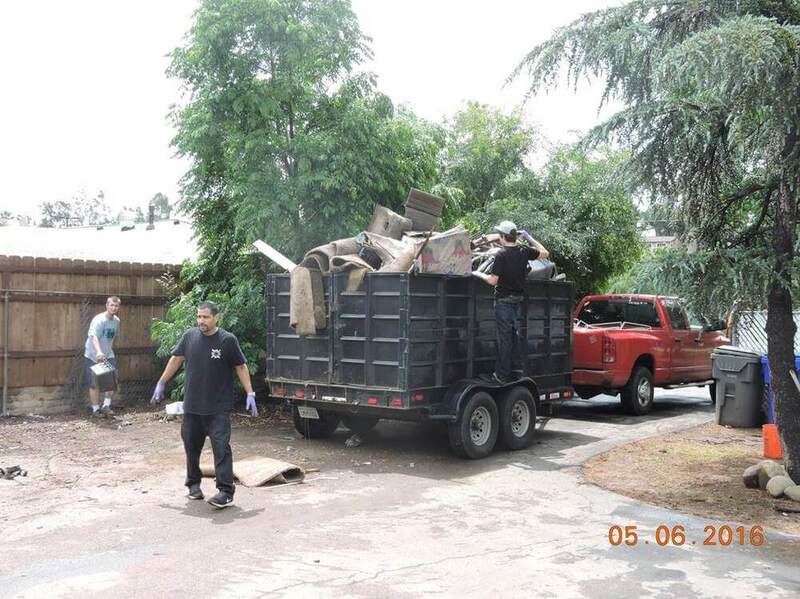 This story is just one example of how East County Posse members routinely donate their time and skills to maximize the good we can do as a non-profit organization. 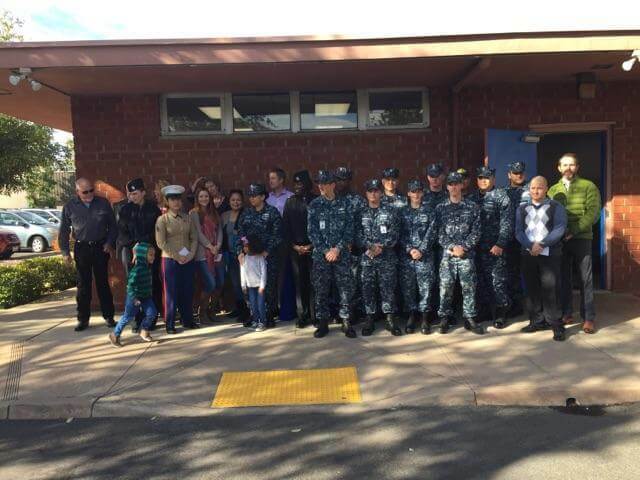 SAN DIEGO - On December 15th the East County Posse provided $10,000 to 20 military families in the form of a $500 gift card to Wal-Mart to brighten the holidays. 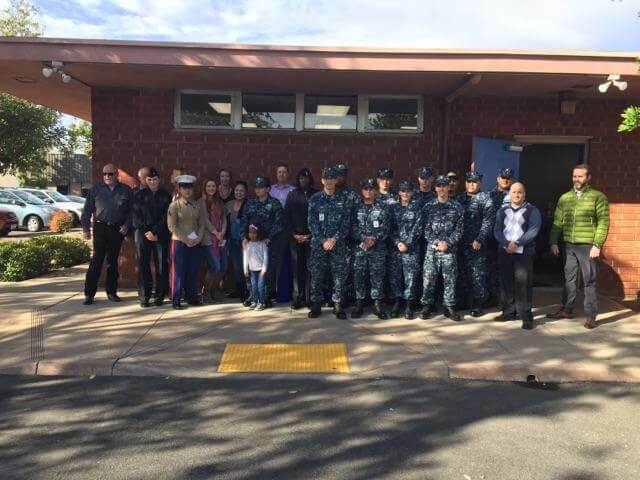 "Many of our military families struggle this time of year," Tim Ney, Executive Director of the San Diego Armed Services YMCA, "We are extremely grateful that the East County Posse has chosen to provide support to our military families during this holiday season." $500 donated toward repair of electrical controls in an accessible van. $7500 donated for Christmas Gift Cards for East County Transitional Living Center families with children. $2000 donated toward Gift Cards for homeless students from Montgomery Middle School. I just wanted to take a moment and thank you for your efforts in ridding this property of the solid waste. I appreciate the fact that you guys are always willing to jump onboard and help us when there appears to be no other remedies available. The LUEG office and Board office are also appreciative of your efforts. I think Megan’s comments from the LUEG office says it all, “Go East County Posse, that’s awesome.” The term “hero” came from the Board office. I look forward to continuing this relationship as we strive to assist those individuals “who need a hand up, not a hand out.” Another accomplishment my friends! Isaac Sandoval, age 4, has a condition which has severely shortened his life expectancy and has left him paralyzed. The posse constructed a ramp for Isaac and now his family is grateful that they can take Isaac for walks whenever they want. On Friday afternoon, Charlie Long, Charlie Horn and Greg Brown Jr. delivered the mobility van that the Posse purchased for Miriam Salem. The reaction on Miriam’s face when she turned the corner on her motorized wheel chair and saw the van for the first time is impossible to put into words. This van will greatly impact the Salem's life. Charlie Horn went above and beyond to see this van purchase through. Charlie jumped in at the last minute and easily spent over 20 hours of his time to make sure that the Posse found the best van for the best price. He also assisted in filing the title transfer documents at time of purchase and offered to assist Mr. Salem with any questions he has while registering this van with the DMV. I don’t know how we could have made this all work without Charlie Horn. 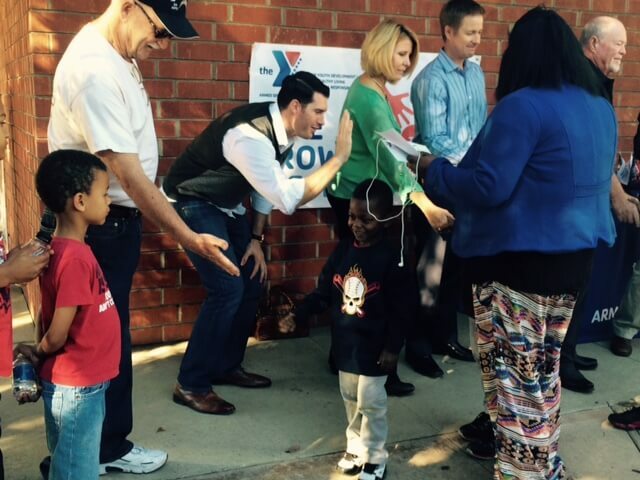 The Posse has teamed up with the Armed Forces YMCA to support military kids. 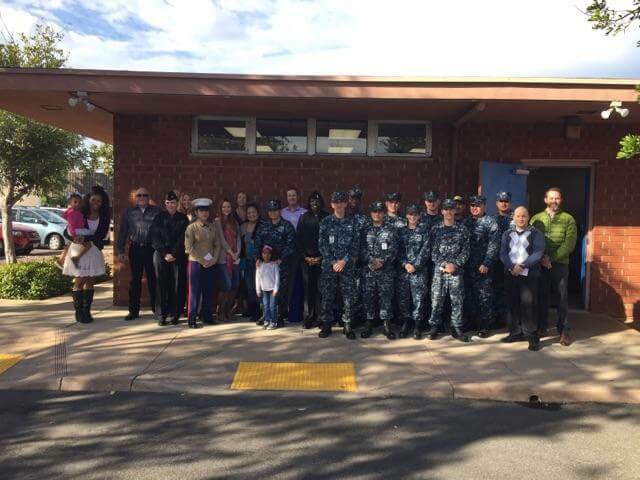 Students with military parents can take a class through the YMCA that will help support the student when their parents are deployed. The Posse has supplied gift cards that are awarded to the students upon graduation. This past week we witnessed the first of these graduations. Please enjoy the pictures from the event. On December 23rd, a few of your Posse members went to the East County Chamber of Commerce to give away thirty $500 Wal-Mart gift cards to Military Families. It was a great event and a wonderful opportunity to be a blessing to our men and women in uniform. The ECTLC – Back to School shopping trip is an annual tradition. The Posse spent $7,500 for 58 homeless kids with ECTLC to purchase supplies and clothing in preparation for the school year. And we have a great time doing it with them! ECP received request from the Department of Veterans Affairs to assist Mr. James Mack, an Army veteran in Lemon Grove. He has dementia and his daughter has quit her job to care for him. His son recently lost his job but has already obtained another job and will get his first paycheck mid August. They weregoing to be evicted if they cannot pay the $475 due for their July rent. The sons job will enable him to care for the family and they will not have any other shortage for rent going forward. The Posse stepped in and covered the shortage. Kudos to the Mack family for taking such good care of their father. The Posse is a big supporter of Boys to Men, and every year we purchase laptops for the graduation class who were going onto college. Congratulations! When the Posse received this letter, we had to do something. My name is Kylie and I would like to submit a request for a fellow college student and friend who recently had her car broken into in the Cuyamaca College parking lot where she lost her brand new Apple Mac Book Pro Air, a Kindle e-reader as well as some text books that she was renting from the college book store. Ashley is 22 years old and one of the hardest working students I know. She is supporting herself fully by working at Ralphs while taking a full load at Cuyamaca. She is fortunate to have some help from her aunt and uncle who took her in when her mom abandoned her when she graduated high school and currently still lives with them. Ashley is majoring in Graphic Design with the hopes of designing websites once she graduates. Losing her computer was not just devastating because of the cost, but also because her classes require several projects to be completed using programs that were installed on her computer that were lost when it was stolen. Ashley is not only a hard worker, but she is also kind, selfless, and extremely giving. Every summer, Ashley takes her vacation from work to volunteer at Indian Hills Christian Summer Camp where she works with youth of San Diego to provide them with a fun, safe, Christian centered experience. I would like to request that the East County Posse replaces the Mac Book Pro Air that Ashley lost and if possible, the Kindle e-reader as well. Replacing these items would be a huge relief for Ashley and I would greatly appreciate it if you took this request into consideration. The good people at Aunty Lynn’s Daycare told us about six-year-old Symphony Tanner, a beautiful and sweet student at Lexington Elementary. She runs and plays most days even though she has only one leg. She wears a prosthetic leg, and sometimes she develops sores on her stump and cannot wear it. 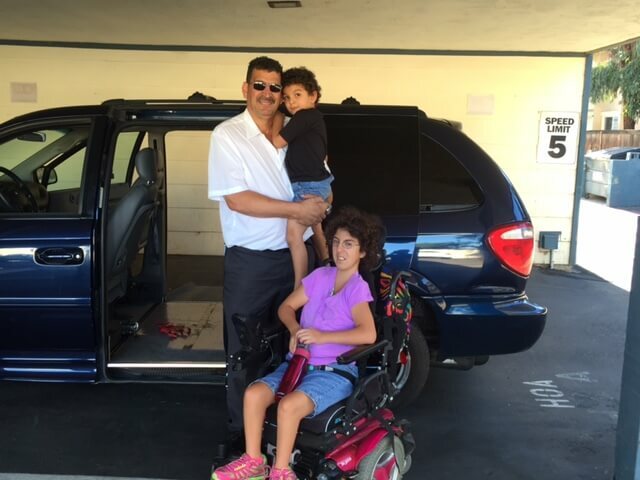 The halls are crowded and the walk home is long, so the ECP donated a wheelchair. Each volunteer will be paired up with a young boy or girl. There will be guidelines handed out to help assist you with what their needs are and also what items we do not want to purchase. If you are interested in participating, please email Lisa Hitt at lisa@pacificbuildinggroup.com. Thank You! My name is Shane Uribe and I am a Boy Scout living in Santee. I am currently working on my Eagle Scout Project. Before I tell you about my Eagle Scout project, I would like to tell you a little about myself. I went into foster care when I was five years old and was in foster care until I was adopted at the age of nine. When I was in the foster care system, I was bounced around from foster home to foster home to foster home to foster home. Every time I went from foster home to foster home, I had to carry what little belongings I had in a black trash bag. Can you imagine having all of your belongings thrown into a black trash bag as you had to move to a new and unfamiliar place? I am extremely fortunate. I was adopted at the age of nine into a loving family. I am thriving now, but I know there are still hundreds of other foster children in San Diego and I want to give back to these children. Therefore, for my Eagle Scout project, I will be donating 100 high quality duffel bags filled with a stuffed animal, a flashlight (with batteries), and a blanket to foster children in San Diego. These are items I would have treasured as a foster child and I know other foster children will as well. Having a duffel bag will prevent the need for their items to be transported in a trash bag, which is very common among foster children. It will send a message to them that they are important and their items, regardless of how few, are valued. A stuffed animal can provide comfort when they get lonely or must move to a new foster home, a flashlight can provide relief after a nightmare, and a fleece blanket can provide them with warmth on cold nights. I know you do many great things for people living in East County and I’m hoping you can support me in my efforts to help others in this area. The beneficiary of my project, the San Diego County Foster Parent Association, is also in East County. They are located in El Cajon. If you would like to know more about my project, please feel free to watch my Channel 8 interview with Marcella Lee, which aired earlier this week. It can be found at: http://www.cbs8.com/story/23568274/success-story-shanes-eagle-project-helps-foster-kids . You can also go to my Eagle Scout project website at www.shaneseagleproject.com. I would love the opportunity to speak with you directly to discuss how the East County Posse could positively impact the lives of foster children living right here in San Diego. Thank you very much for considering this letter. I look forward to hearing from you. This letter sparked ECP to donate to Shane in order to help him continue his project and help up to 200 foster children. Kyler was born with a birthmark on his foot. By age 4 his right foot was a full size larger than the left. At age 8 Kyler started complaining of pain at the birthmark. A subsequent medical exam determined an extensive Arterial Venous Malformation (AVM ). He began the beginning of many surgeries at age 9. After a scheduling conflict with radiologist he was referred to a new radiologist who stressed he needed additional surgery and partial amputation. A Chief Thoracic Surgeon at Children’s hospital thought amputation was too drastic without exploring other options. It was then recommended to see specialist located in Denver. A flight to Denver would be very difficult because foot needs to be elevated at all times otherwise causes swelling discoloration and even further pain. Referral and surgery was covered, but none of the transportation or lodging expenses. Kyler’s father was the victim of a paralyzing spinal injury and was forced to retire from the police department. His mom had time off from work to take care of Kyler. This left them short of resources and they were unable to pay for the transportation and lodging expenses. The Posse paid for transportation expenses and the procedure was completed just after Thanksgiving. They also got a welcome home surprise, ECP with the help of friends, set up and decorated house for Christmas. Kyler is now up and doing well. Shane is an amazing young man. He was a foster child bouncing from foster home to foster home up until the age of nine when he was adopted by a loving family. He is a now a Boy Scout working on an Eagle Scout project. His project touched all of us. Knowing how it felt to have all of your belongings thrown into a black trash bag as you moved to a new and unfamiliar place, he was determined donate 100 duffel bags to foster children of San Diego. He wouldfill the duffel bags with a stuffed animal to provide some comfort when lonely, a blanket for cold nights and a flashlight to provide some relief after a nightmare. 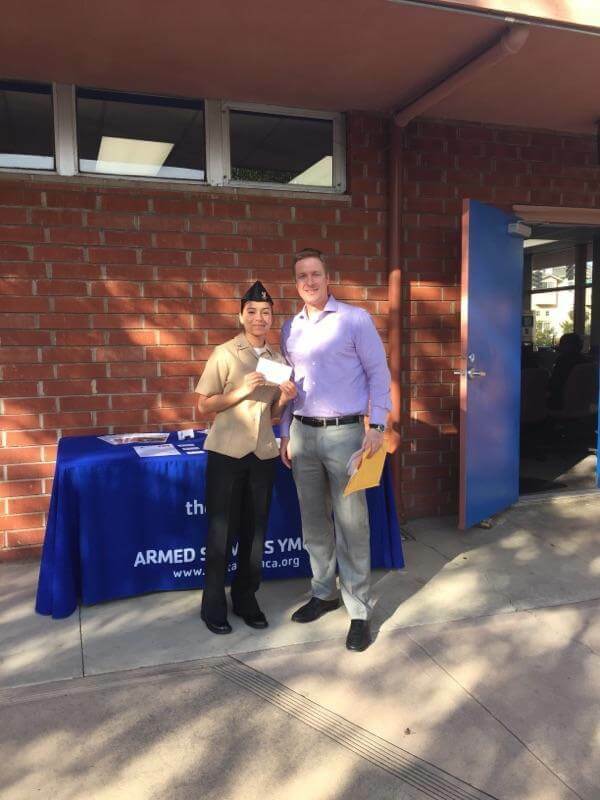 Along with donations from others, the Posse contributed $1,500.00 to help him achieve and supersede his project goal. The Posse also arranged for the receipt of two dozen custom made dolls made by local volunteers. Each year the Posse purchases $125.00 gift cards from Wal-Mart and takes a group of children, with no other means, shopping to pick out school supplies and clothes. Brittany is a kind, intelligent and brave teenage girl who was diagnosed with brain tumors; she needed specialized treatment in an out-of-State hospital and ongoing medication. Without the medication, she would have died. The Posse helped provide transportation, hotel accommodations and much needed medications. Because of the Posse’s assistance, she is recovering from her illness. She is continuing to attend school and plans on attending Biola University in the fall. Carmen was diagnosed with MS 15 years ago, right after giving birth to her daughter. Her husband left shortly after and she has worked hard to keep her independence and make it on her own. Due to complication with her MS, she has been in and out of the hospital and is now permanent disability. After being released from hospital, she moved in with her mother because she needed help getting around. 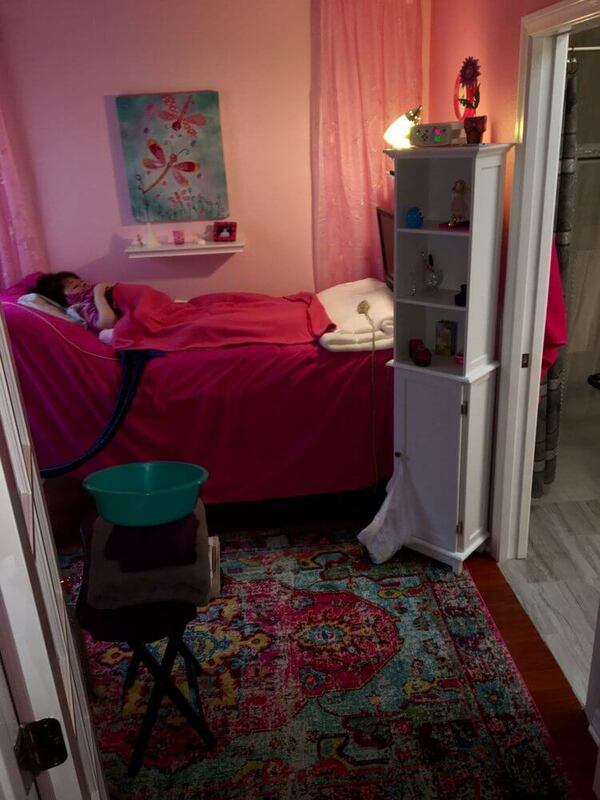 Her mother does not have wheelchair access or easy entry to bedroom or bathrooms. She has to be sponged bathed daily and someone has to come out once a week to help wash her hair. One of our awesome Posse members put in a new handicapped shower and toilet, widened doors, moved electrical and tiled. Tammie has been taking care of kids with special needs for the past 12 years and is currently taking care of 4 children fulltime in her home. Sacrificing herself, she has given up all her bedrooms and sleeps on a mattress in her unfinished garage. The Posse converted the dining room into a bedroom giving her privacy and an appropriate sleeping place. People helping people!!! Tyler is 17 and has Spinal Muscular Atrophy Type 2(SMA); a form of muscular dystrophy. Tyler is confined to a wheelchair and has recently been put on a feeding tube, which helps him maintain a healthier weight. Although his medical condition presents challenges, he is very involved in sports and school. He was voted moSeptember 2012 – March 2013 Tyler Tyler is 17 and has Spinal Muscular Atrophy Type 2(SMA); a form of muscular dystrophy. Tyler is confined to a wheelchair and has recently been put on a feeding tube, which helps him maintain a healthier weight. Although his medical condition presents challenges, he is very involved in sports and school. He was voted most inspirational kid of the year by Channel 10 NEWS. His dream is to become a pro-basketball coach and he is working very hard to make that possible. Tyler’s home was not equipped to accommodate his needs and his mom was having extreme difficulties carrying him from room to room. The Posse stepped in and did a complete remodel to meet Tyler’s needs. The remodel included construction of a new bathroom, an addition to his bedroom and widening of several doorways. What a difference this has made for both Tyler and his mom. st inspirational kid of the year by Channel 10 NEWS. His dream is to become a pro-basketball coach and he is working very hard to make that possible. Tyler’s home was not equipped to accommodate his needs and his mom was having extreme difficulties carrying him from room to room. The Posse stepped in and did a complete remodel to meet Tyler’s needs. The remodel included construction of a new bathroom, an addition to his bedroom and widening of several doorways. What a difference this has made for both Tyler and his mom. Britney is 14 years old and has a rare form of cancer. She has been fighting the cancer for a long time and needed to carry the fight to New York City to get special treatment. The Posse pitched in and provided travel expenses for her and her mother. Patti Alvarez and Mark Allen interviewed Brittany Stephens; a young lady referred to us by Tim McDougal’s wife. She lived with the McDougal’s when her parents were unable to care for her. She is now 21 years old and supporting herself. She makes $500.00 per month working with high school students at Shadow Mountain Community Church (actually did it for free and was just added to payroll) and was also working at Starbucks at the same time. Currently she is receiving about $300 per month from SDI (car accident injuries) and expects to be able to return to work at Starbucks in July. She shares a one bedroom apartment with a friend that costs her $425 per month. She also attends Grossmont/Cuyamaca JC. A few weeks ago she was in an accident and totaled her car (a car she purchased and paid off). Although neither of her parents are able to help her on a regular basis, her mother will be matching our funds (up to $2000.). Brittany appears to be a very kind and caring person. She was surprised that there would be people willing to help her. She is already giving back to her community and I believe an excellent candidate for our program. A donation up to $2000.00 from the Posse would enable her to have a new car, debt free, and continue in her work, school, and community service. Brian and Julie Morris are a military family with 18 years of service. Brian is from Georgia and was stationed in California where he met and married Julie. In 2000 they purchased a home in Santee to start their family. Brian is a Chief in the Navy and has served two tours in Iraq. His service to our country results in his absence from home and family on tours lasting upwards of 6 months at a time. In 2002 Brian and Julie had their first child Blake followed two years later by Charlie. When Charlie was around 18 months old, they went in to get him up one morning and could not wake him. They rushed him to the hospital and fought for his life for two months. Due to high blood sugar, it caused his brain to swell and Charlie suffered severe brain damage, Acquired Cerebral Palsy, and many other medical problems. About the same time Blake was diagnosed with Autism. Julie has her hands full with trying to work with Blake and his demanding needs and Charlie needs 24-hour care. Charlie is now five years old, 54 pounds and is secured in a wheel chair. 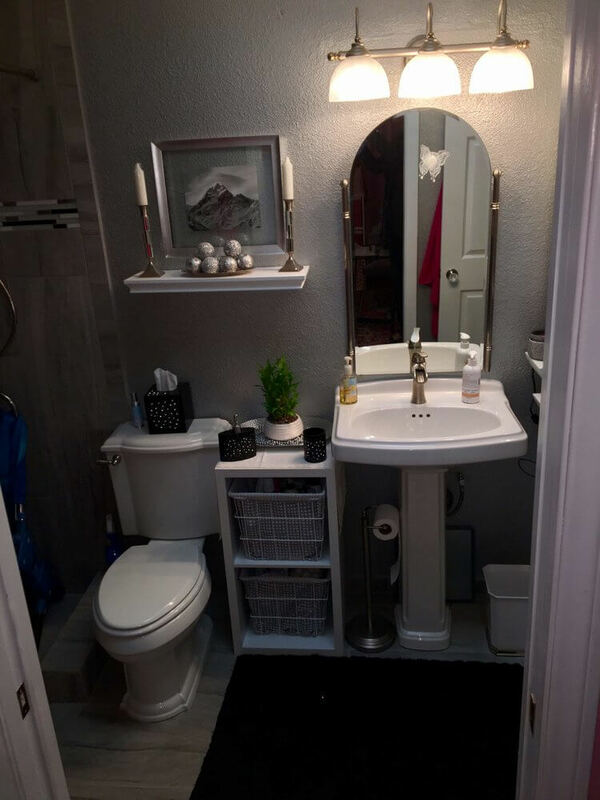 However, their house is not built for handicapped living and Julie has trouble moving Charlie around the house and especially with bathing him in a very small bathroom with a 24″ door. ECP had a request to interview the Morris family. At my first meeting with Julie, Blake and Charlie (Brian was still in Iraq), I found a mother dealing with almost hospital room conditions. Medical supplies were stacked all over the place and doctor schedules had to be maintained. I was deeply moved by her unconditional love for her two sons. Brian enjoys spending time with his family and leads his church in worship on the worship team when he is at home. At a follow-up visit, I found Brian was writing a song for his church. Charlie was by his side while his Dad was singing. There is definitely a connection between Dad and son. When I left I wanted to do something for this mother with zero time for herself, the father that gives to his family, gives to his church and his country both unconditionally. The ECP appropriations committee considered the family’s request for assistance and decided to help by making a few alterations to the interior of the house to make it more accessible for their special needs. 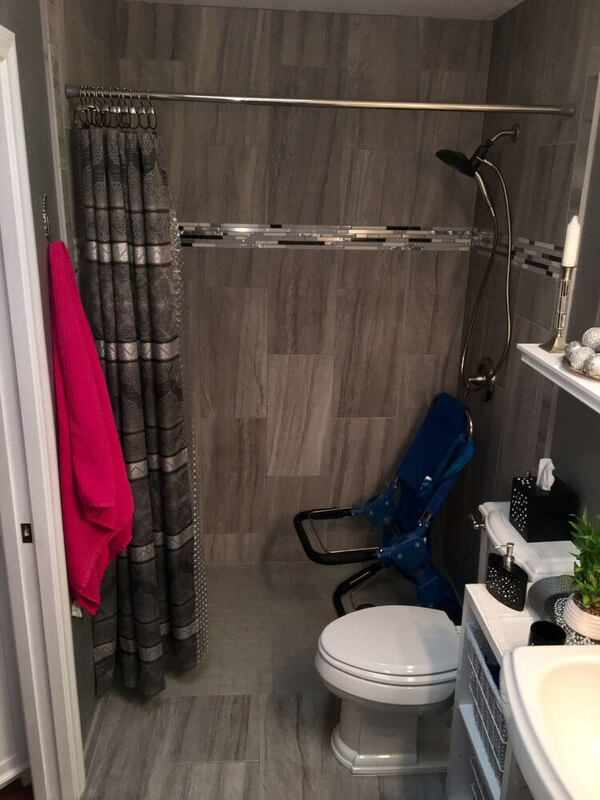 This began with modifications to the bathroom to make the door wide enough for wheelchair entry and to add a bedroom that would better serve handicapped needs. But, after digging into the project, we found a house that had been ravaged by termites and had many structural problems that complicated the process. The project was then expanded to include a near total rebuild of the house. 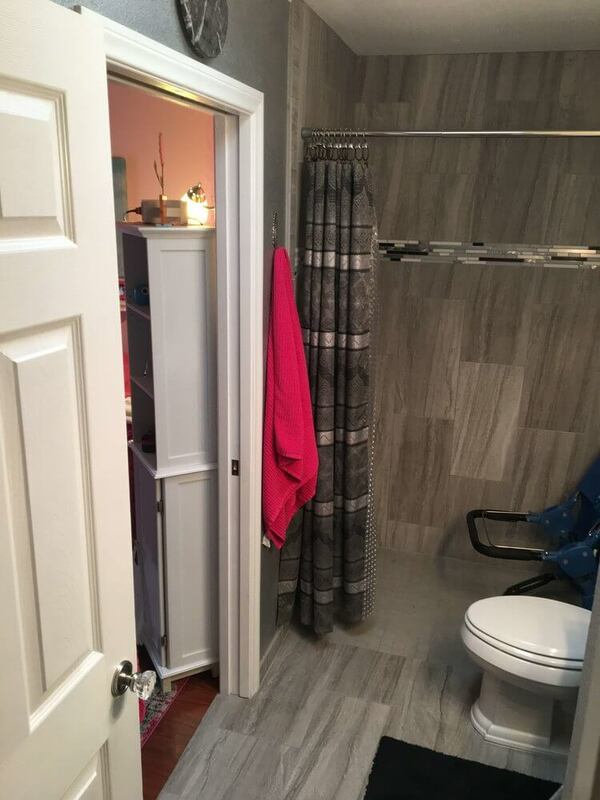 What started out to be a bathroom remodel has turned into a complete home restoration project. The ECP budget is covering a fair amount of the costs, but the majority of the materials and labor have been donated by our members and other local contractors and suppliers. Set Free Ministries has also helped significantly with labor. On Saturday October 2, and Sunday October 3, the ECP called on its members and friends to help with the project. Over this two-day period the roof was stripped; new roof supports, joists and sheathing were installed; stucco, drywall, windows and fireplace removed; regraded yard and installed new underground conduit to heat pump and pool equipment; installed new plumbing; and built a new master bedroom. This project is coming together rapidly. Plans for activities in the immediate future include framing inspection by Wednesday (10/6), roofing Thursday and hanging drywall and lathe (10/7). The anticipated move in date is October 23, 2010 – the day of the ECP Night Out. We will continue to update for ongoing progress. Please stay tuned. If you have any questions or would like to donate, please contact Ronnie Swaim: ronnie@rdwsltd.com or (619) 443-0221 ext. 101. Or if you would like to make a cash donation please send to The East County Posse, 3511 Camino Del Rio South Suite 210, San Diego, CA 92108 and have the subject as Morris Family. To see Morris Remodel Special Thanks List click here. Rosie, a 54-year-old single woman, was recently diagnosed with Transverse Myelitis, a debilitating disease that left her paralyzed from the waist down. 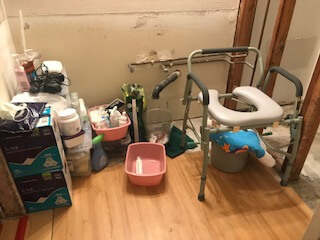 The Posse spent $7,500.00 to remodel her bathroom for greater access and to build a wheelchair ramp at her home, allowing her much greater freedom and independence. Set Free Ministries provides assistance to adults that are transitioning from lives affected by substance abuse to more productive lives. As you might expect, there are often extended families that are involved in the transition. The East County Posse has played an active role in helping to improve the lives of these children by providing school clothes and supplies and also with Christmas presents. Each year the Possee helps more than 30 families in this matter with more than 75 children represented. Bret Palmer had an accident that left him paralyzed from the waist down. 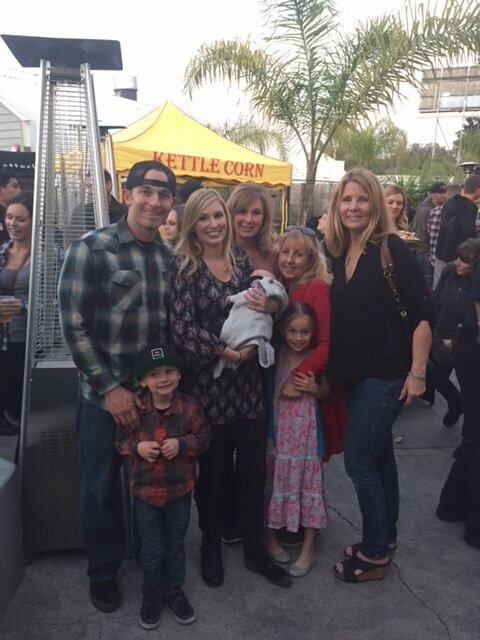 After completing extensive therapy, he was ready to return to work at SDG&E, but he needed transportation and his medical treatment had exhausted his family’s savings. The Posse stepped in and paid $11,500.00 to convert his pickup for handicapped use. Bret has recently rejoined the work force and is now self-supporting.